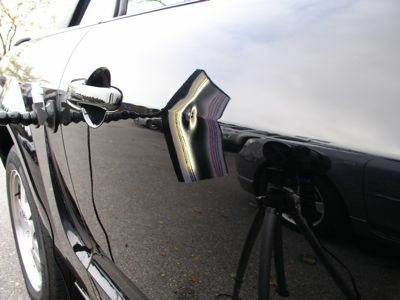 Our photo gallery of Vancouver Paintless Dent Repair and removal will display some of our work using specifically designed tool to remove small, medium and larger dents from your vehicle. 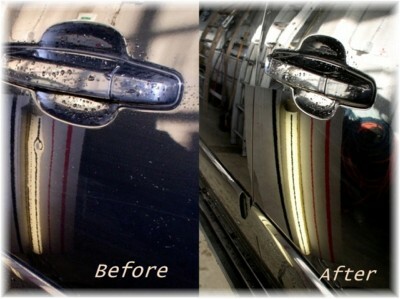 For more PDR photos, please visit Vancouver Paintless Dent Repair on Facebook. Don't forget to "like" us there while visiting. Note that the bodyline is crushed as well as the bottom part near the bumper is pushed in slightly. The damage was all the way to the headlight. 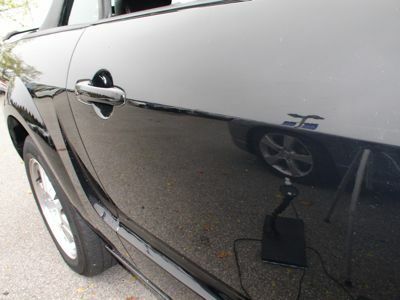 Paintless dent removal done August 29,2013. Yes... with only 800 Kilometers on this little beauty, the customer, sadly, backed up into something!! Estimate to repair by regular paint and fill?? Add another 1100.00 to the original price tag! Also two days in the shop. By using Vancouver P.D.R., the repair was a fraction of that cost. Repair was done within a couple of hours. 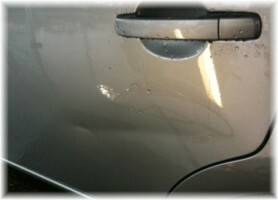 This customer had a brand new Cadillac Avalanche with the dent just under the handle. He could notice it every time he went to open the door for his wife! 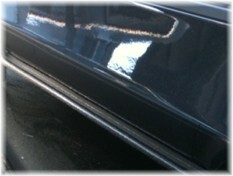 This is the Nissan done after paintless dent repair. There was no worries about paint matching. The repair (as large as it was) came out to the customer's delight. 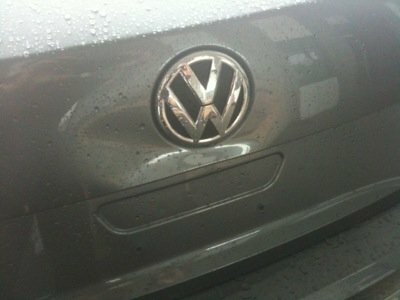 Some dents as large as this may not come out 100%. 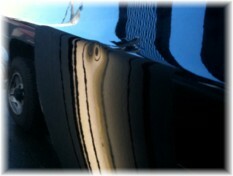 Depth of dent, location and shape are all factors in achieving perfection on a dent this size. 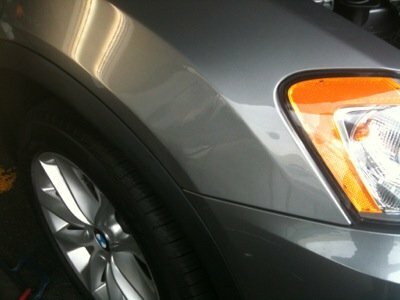 This is one of the most difficult type of dent to be repaired. 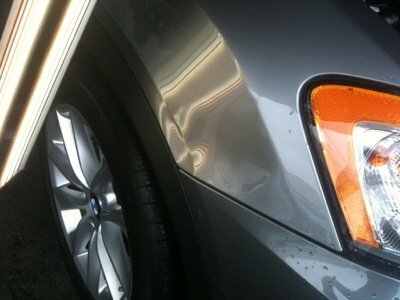 This BMW had a sharp dent on the bodyline. 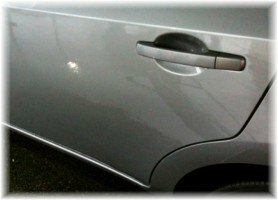 The bodyline on this model of BMW is very sharp itself and the dent also was sharp and directly on the vehicle's bodyline. 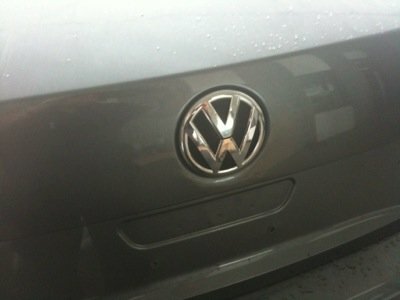 Once again the customer was extremely pleased with the results by using Vancouver Paintless Dent Repair & Removal!